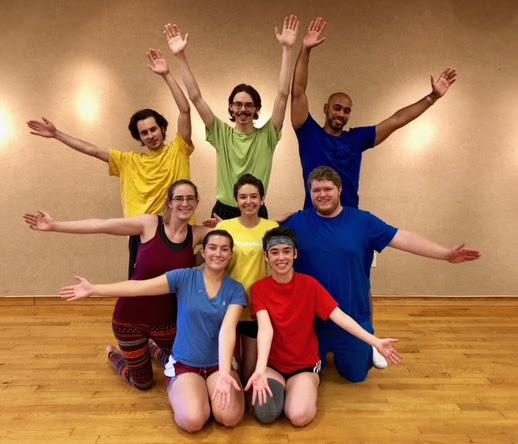 Lake Theatre Productions will perform “Pookahs and Yams,” a showcase of three international folk tales, from 6 to 7 p.m. Thursdays from July 26 through Aug. 30 at the Holiday Inn Resort in Lake George. The high-energy play for children and families features "Talk" from Ghana, "Conquering John” from Jamaica and "Daniel O’Rourke" from Ireland. Directed by Corinda Bravo, the Lake Theatre's Intern Company show features SUNY Adirondack students and alumni, including Trevor McNeish, Emily Austin, Nova Nusskern, Evan Burgess, Tori Davis, Sydney Davis, Henry Olson and Devin Funnye. All seats are $10. For ticket reservations, call the Lake Theatre box office at 518.668.5762, ext. 411. Tickets also may be purchased at the door.